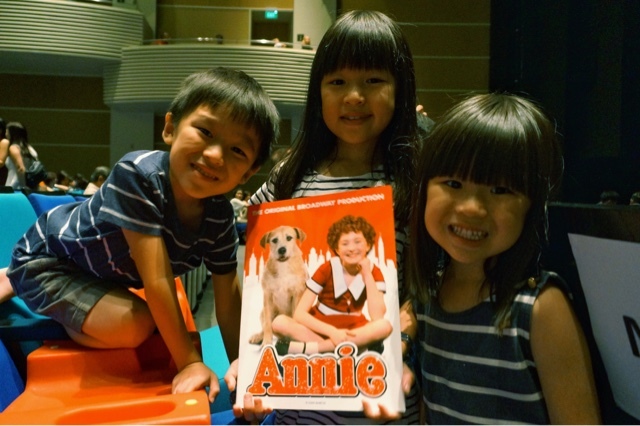 We caught Annie at MasterCard Theatres last Thur and it was the first time for all of us. 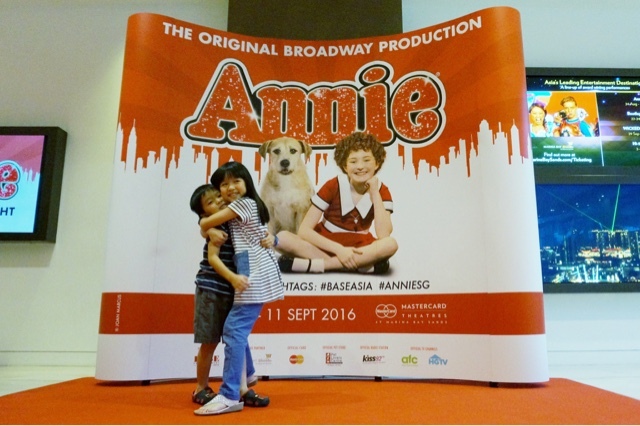 So when the kiddos asked me what the musical was about, I could only point to the poster and say, "the story about this red-haired girl and her dog lor!" We went in with an open mind, and without much expectations. 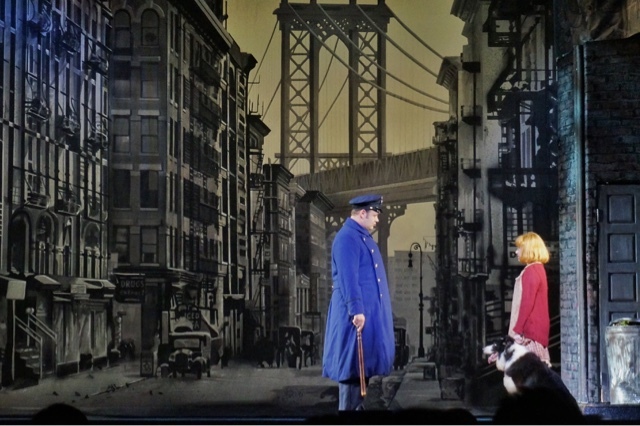 But I was blown away by the awesomeness of the performances and realism of the sets. 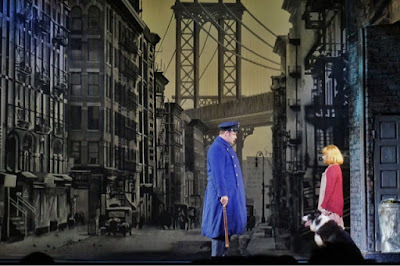 So much so that even Stacci kept asking me worriedly if the show was ending when it was actually time for intermission. She loved the youngest Molly the most, and was looking out for her in all the scenes, perhaps because they are actually about the same age too. For the benefit of those who are didn't know anything about Annie (just like me earlier), let me very briefly tell you about the story. It revolves round an 11-year old orphan living a hard knock life in the orphanage during the Great Depression, till she got the chance at a second life after being selected to spend a few days in the house of billionaire Oliver Warbucks who finally adopted her. It was a story about hope! It may be just a simple story with a happy ending, but the singing and acting from the youngest to the oldest cast were unforgettable. Not to mention, there were quite a few scenes that tug at your heartstrings too. 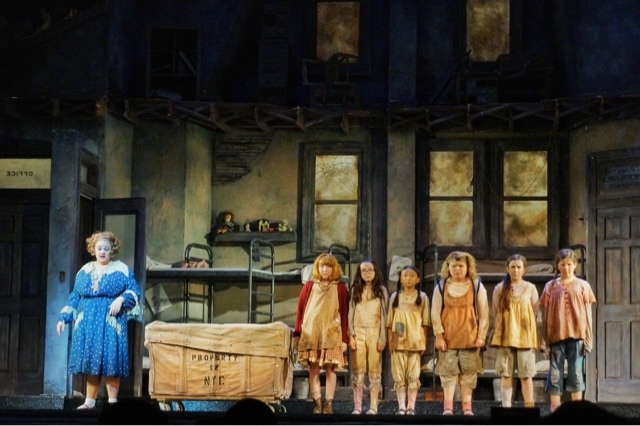 Despite being the villain in the show, the performance of Miss Hannigan (by Lynn Andrews) was truly amazing, and besides drawing much laughters during the show, she also drew one of the loudest applause from the audience during the credits too. 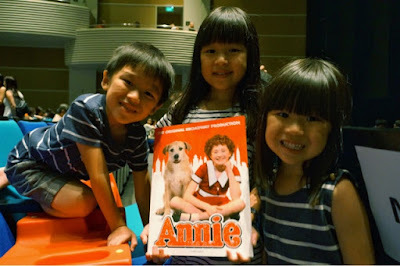 Thank you BASE Entertainment for inviting the kiddos over for the musical ! It's definitely a musical worth going to and they had been humming "tomorrow, tomorrow" every now and then ever since! For those of you who are thinking of watching, don't keep putting it off till tomorrow, what you can do today. New Brekkie Menu at Swensen's! Outdoors, You Make It Fun!